Is Trump a Christian? What Does It MEAN to Believe in Christ? There was some excitement among certain Republican Christians when Dobson said Trump had become a “baby” Christian and should be cut some slack on that basis. A novice at practicing the Christian faith is not someone we should automatically admire, and trust, and therefore surrender top leadership posts to. Paul says to beware of promoting novices. Well, of course. Democrats can win elections and do evil without pretending to be “born again” Christians – but Republicans pretty much have to profess Christian faith and in some way or other make good with the evangelical vote. So, for some of them, the timing does look very suspicious. In fact, for some of them in my experience, the spectacle is repulsive. This is one of those times. Still – this all raises an even more crucial issue. or, as it is often put, to “receive” Jesus? that’s a big part of who he is. If we don’t accept those things, then we really don’t accept him. how dare we say we believe in him? We don’t hear much, if anything, about what his teaching is, or what his actual guidance for our lives would be. How is that respectful? • desire to serve the people in our world whom he is concerned to serve. It is a very big thing – which is what we would expect if Jesus really is who and what we say he is. Unfortunately that requirement has been redefined in modern American Christian circles. It is now possible to imagine that we believe in Jesus when in fact we accord him a very small, in some cases almost nonexistent, level of respect and attention. To believe in the Lord Jesus, as the Bible presents the idea over and over – and as history shows our English word “believe” to actually mean – is to love, to deeply admire, to cling to as a source of wisdom and truth and guidance and care. That doesn’t work. He is smarter than that, and expects us to be too. Today church leaders usually do not ask us to surrender our lives to the teaching and wisdom and guidance of this Great One, Jesus. We don’t hear much, if anything, about what his teaching is, or what his actual guidance for our lives would be. How is that respectful? They may, and often do, ask us to surrender our lives (or at least our money) to them or to their organizations. And, of course, we do hear about a certain few “sins” that happen to be the ones our groups choose to talk about most. They also usually happen to be ones that Jesus did not emphasize or even mention. Also, they don’t appear publicly very often in our contemporary American Christian circles. How convenient is that? But even Adolf Hitler, in his public speeches to the German people in the 1930’s, referred to Jesus as “my Lord and Savior Jesus Christ.” Because he said things like that, many “German Christians” gave their allegiance to him as their “Christian” leader. Now that’s the right question! “Why?” indeed! You see, to believe in the Lord Jesus, as the Bible presents the idea over and over – and as history shows our English word “believe” to actually mean – is to love, to deeply admire, to cling to as a source of wisdom and truth and guidance and care. To believe in Jesus has a very strong connection to what Jesus called the greatest commandment – to love God with all your being. It is a very high standard. And it merits no special credit; it’s the most obvious, elementary thing that needs doing in human life. It gives no bragging rights whatsoever. But it’s not imaginary; it is the most basic, gut-level reality and necessity. Nothing matters more. How can you believe in him if you don’t care what he thinks? Can you believe in him if, when you get down to it, you really don’t want to know about or invest in the things that he cares most about? Can you believe in him if you have no interest in living in a way that is pleasing to him? Can you believe in him if you are unwilling to commit to learning him and to following his values and priorities? Can you believe in him if being approved of by your friends or your peers is going to have more influence in your decisions and lifestyle than he himself? Can you believe in him if you don’t want to live in a world structured according to his values and preferences? That, after all, is what the new world he is bringing will be. Can you believe in him if you love money or status more than you love him? If you were to write or speak a statement to Jesus making explicit your truly believing in him … what might it say? What would you want it to say? What do you need to think through? 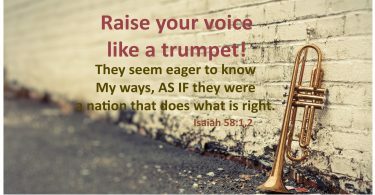 Can you believe if you love being right, in your own opinion, more than you love being corrected by him, learning from him and living his loving, serving, welcoming priorities in this damaged world? It matters a great deal what Jesus wants – what his moral priorities are – because, after all, what he loves and values – that’s a big part of who he is. If we don’t accept those things, then we don’t accept him. And if we don’t accept him – don’t even really like him – how dare we say we believe in him? 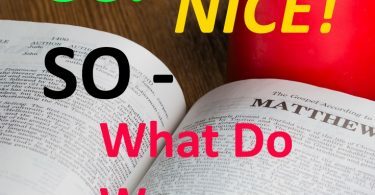 If you were to write or speak a statement to Jesus making explicit your truly believing in him – in light of the things you just read – what might it say? What would you want it to say? What do you need to think through? Dare you write it out? He is gracious – if you need to edit it in days to come as your insight increases, he understands that. I say, give it a try. 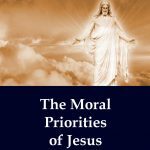 This article is chapter 8 of my 40-page book, The Moral Priorities of Jesus. It is available at LULU.com. Or here’s a pdf version.